Moving from your home often represents an emotional time in one’s life. Each room in the house and all its contents are associated with memories, which makes packing especially bittersweet. 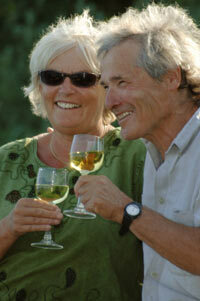 However, for those who are craving a more relaxed lifestyle, downsizing offers a variety of benefits. First, remind yourself why you’re considering to downsize and move. The upkeep on a large home can become quite expensive, even after the mortgage is paid in full. 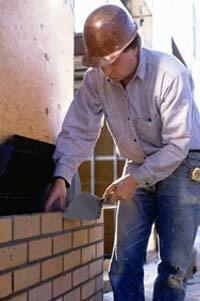 When big-ticket items like new windows or a roof are needed, these repairs can quickly add up. Additionally, you realize that you have more space than you can possibly use and easily maintain. After children move out, there are often rooms that are used strictly as storage space, hardly ever to be set foot in again. Plus, it’s important to consider that the upkeep of a large home can easily become overwhelming in later years when tasks like raking leaves in the fall, cleaning a home top to bottom, and shoveling snow can become challenging or even dangerous. Considering a move to a senior living community before it becomes medically necessary is a smart decision that can help keep individuals as they continue down the path of aging. Joe points out that his parents did not realize all they are missing out on until they visited the community that they now live in. 1. Ask for assistance. Start the process by asking family and friends for help. This may not be possible for many due to the mobile society we live in and the physical demands that a downsize can take. That’s were Personal Property Managers can help. Remember, moving can take a toll on even those in the most optimal health. You may also be surprised to learn the emotional attachment your adult children or grandchildren may have to certain items. Enjoy sharing memories with them as you go through the house together. 2. Keep the memories, not the items. Parting with belongings can be difficult due to the memories associated with them. You’ll need to make decisions about what to keep, what to donate to charity, what items to designate to family members, and what can simply be tossed. 3. Take your time. Packing up a home for a move is a challenging task for even the most able-bodied person. Therefore, keep in mind that it is probably not possible to go through the entire household in a single day – or even a week! As soon as the decision to downsize has been made, start sorting through smaller areas, like closets, drawers and storage spaces to quickly weed out items. 4. Write out lists. Lists are a great way to create a timeline and stay organized throughout the downsizing process. Make lists of rooms to go through and lists of items to pack, as well as lists for tasks like cancelling utilities and transferring mail. 5. Create a plan. Having a plan for moving day helps eliminate a lot of the stress of the day, so if possible, get a floorplan of the new living space. Knowing the exact dimension of the rooms helps map out what furniture can go where, as well as how much storage space is available. This entry was posted in Bommers, caregiver, Home Downsizing tips, senior care, seniors, Uncategorized and tagged aging, clutter, Families, Family, home, how to, insights, joesantoro, nicksantoro, parents, personal property managers, personalpropertymanagers.com, property, real estate, relocation, senior, seniors, tips, transition on March 28, 2017 by Joe Santoro. The vast majority of the clients who contact us are simply overwhelmed trying to tackle downsizing their home or the home of a loved one. It is physically and mentally draining. Often it entails going through possessions that have been in the house for 40 plus years. Where do you begin? This is part of a continuing series of articles and helpful tips and insights into helping you move forward and sell your home and clean out your contents by Nick Santoro and Joe Santoro of Personal Property Managers. Personal Property Managers specializes in real estate sales and marketing, home downsizing, content clean out and removal and estate sales, and services Pennsylvania and New Jersey. Moving from your home of 20, 30 or 40 years is a daunting task. Often our client tell us it’s an “oh my gosh moment” – where do I begin? This is where we can help you. Did you know that downsizing and moving ranks as one of lifes most difficult events, along with loss of a spouse, divorce and job change. People feel overwhelmed, and wonder; where do they even start? At Personal Property Managers, we understand the emotional toll downsizing and moving can take on our clients and their families. If you are moving from your home of many years into a senior care community or just relocating, our goal is to help you transition seamlessly to this exciting new chapter in life. 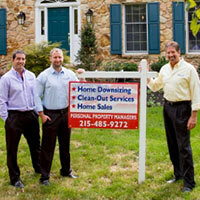 Nick Santoro says that of the many challenges of moving, downsizing is the most difficult. Nick says the reason for this is that you have to make decisions about every personal possession in your home. 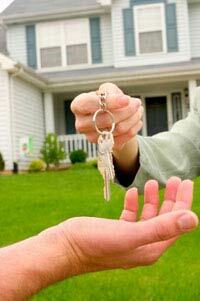 Personal Property Managers is at your side helping you every step of the way. Santoro suggests viewing downsizing as a process. We suggest that you start with small goals, and plan on sorting for just a few hours at a time. Sorting through the easiest and obvious first. Choose a room where what needs to go or stay is the most obvious – like your bedroom or a room that’s rarely used. Using colored stickers, labels or Post-It notes to identify where items will go. More efficient than writing out a list, movers and family members can use the stickers as guidance on moving day. Assessing practicality and sentimentality. 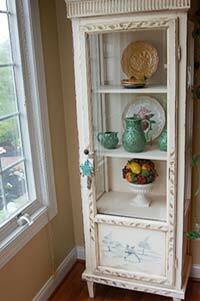 Items that are both practical and sentimental should move with you. Items that are neither should be left for family, sale or charity. Eliminating duplicate items or items that are the wrong size. Chances are, you only need three sets of towels, not six. If clothing does not fit, do not bring it with you. This entry was posted in Home Downsizing tips, Uncategorized and tagged clean, clutter, downsizing, downsizing service, Family, home, home downsizing, how to, joesantoro, moving, new Jersey, nicksantoro, pennsylvania, personal property managers, personalpropertymanagers.com, property, real estate, relocation, tips on March 21, 2017 by Joe Santoro. Are you considering investing in real estate? Are you interested in buying an investment property, fixing it up and selling it, often called flipping a property? House flipping in the real estate sector refers to where you invest in a property with the objective of making a nice profit on it, often in a relatively short period of time. The golden rule with making money on property is always to buy low and sell high, but there are risk factors that must be considered. Especially if you are a novice investor or renovator, you need to really do your homework and then some. Your ‘flip’ can quite easily turn into a ‘flop’ and a significant financial loss says Joe Santoro of Personal Property Managers. This is part of an on-going series of real estate articles by Nick Santoro and Joe Santoro of Personal Property Managers who service Pennsylvania and New Jersey and specialize in real estate, home content downsizing, property management and estate sales. We suggest that home buyers, should buy with the view to creating security for themselves and their families. Real Estate does present the opportunity to not just grow your personal wealth, but make some nice profits, if you approach it in a careful way. Some of the popular types of property that house-flippers tend to look for are fixer-uppers and quick sale or distressed properties. Older, up and coming neighborhoods also tend to be good areas to consider if you want to profit from the property flipping trend. This means that buyers are able to invest in older properties, upgrade these and sell them for a profit. Always do your homework and ensure you buy smart. Investing in property is a costly exercise, especially if your finances are tight. Even if you are flush with cash, you would still want to exercise caution and ensure you understand the area and market that you are investing in. Be sure that there is a demand for the type of upgrades or renovations that you are planning as it does not pay to overcapitalize. It is important to have a good understanding of whether there is a demand for the type of remodeling or upgrading that you are planning. While a smart investor will create the need for his/her property, you are often unfortunately guided by what buyers want and what they are prepared to pay. This means that you need to research the area and market thoroughly and ensure that your plans, asking price and profit expectation match the current market. Always start with the end price that you may be able to sell your property for in mind. That is, the price right now that you could get in the market given the economic and market cycle. Also be sure to price in line with what the market will pay. Often, investors will overspend on the upgrade of their investment property and then price it at the top end of the market. Top end buyers tend to be few and far between and can be quite discerning and will not pay an inflated price regardless of how fabulous the upgrades are. Most renovators will tell you that it is almost inevitable that your planned renovations or upgrades will turn out to cost more than initially anticipated. Nonetheless, there are many examples of well-budgeted and planned renovations that have turned older homes and complexes into trendy spaces that have not only attracted buyers, but contributed to upgrading the area. Generally, house flipping relies on a strong property market because you would want to get a good price and for this, you need willing buyers and some competition. The economy and property market are cyclical in nature and heavily sentiment driven. This is something that we see right now. This entry was posted in home selling tips, house flippers, investors, real estate, Uncategorized and tagged #flipphouses, #homeflipping, #realestateinvesting, clutter, how to, investors, joesantoro, nicksantoro, personalpropertymanagers.com, ppm, tips, transition on March 14, 2017 by Joe Santoro.